The Sierpinski triangle is an equilateral triangle that is subdivided repeatedly into smaller and smaller equilateral triangles. It is one of many recursive designs that mathematicians call fractals. Whether you look at a small portion or the entire picture, the design appears the same. Like the Sierpinski triangle, the Koch snowflake can be continued infinitely. More and more details arise, but they are all triangles. The most common structure in music is the 4-bar phrase. 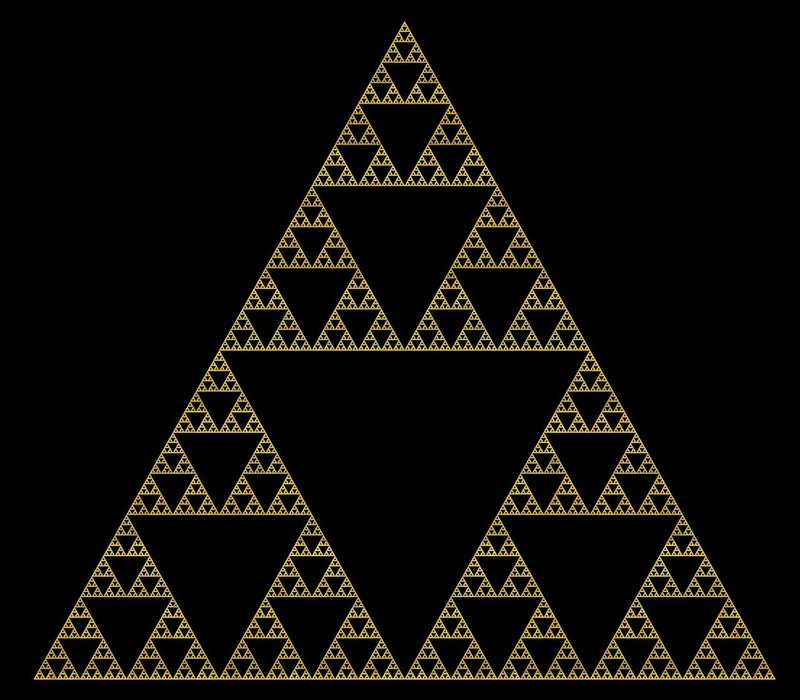 Sierpinski and Koch used triangles for their forms. We will look at form through the lens of the 4-bar phrase. Though he died at the age of 35, Léon Boëllmann is one of the well-known French organist-composers thanks to his Suite Gothique. While he wrote numerous pieces for organ, piano, and even orchestra, the “Toccata” from Suite Gothique is a staple of the organ repertoire and his best-known work. Rather than look at the “Toccata,” I’d like to look at the second movement from the suite, the “Menuet gothique.” If you do not have a score for the Suite Gothique, you can download one at IMSLP. You can also hear me play it as a postlude on YouTube. The Menuet is built virtually entirely with 4-bar phrases. The overall form is ABA. Only towards the end of the B section is the 4-measure structure even slightly ambiguous. The return of the A section is abbreviated in that the repetitions on different manuals are omitted. The piece is constructed entirely through the use of repetition and contrast in 4-bar phrases. The first improvisation lesson from this piece is to be sure you can play what you just played, even five minutes later after doing something different! The first section of the piece is 48 measures long. The first eight measures (two 4-bar phrases) is played on the swell and then repeated on the great. The next sixteen measures (4 4-bar phrases) on the swell takes us a little further away from the home key before returning to end on the tonic. This is repeated on the great and brings the first A-section to a close. Whereas the A-section began softly with the repetition being louder, the B-section reverses those and begins loudly with softer repeats. The A-section was also more connected with longer notes and step-wise motion (especially the descending bass line). The B-section is filled with staccato notes, arpeggios, and rests creating a marked contrast with what came before. Following the same format as the A-section, the first eight measures of the B-section (two 4-bar phrases) played on the great are repeated on the swell. After another two 4-bar phrases on the great, we get another break with the repetition when the softer material is not a repeat. This new figuration gets a four measure extension which brings back the original A-section material which will now alternate with the louder B-section material for another page until we modulate back to the original home key and arrive at the recapitulation of the original A-section. Because I believe anyone can improvise a 4-bar phrase, I believe it is possible to use the “Menuet gothique” as an improvisation model to build much longer pieces. I’ve created a PDF map of the form which is available for download here. The key centers are indicated so that you could use this to create a similar piece with different thematic material. It also could be interesting to change the tonal plan but use the same thematic material from Boëllmann. 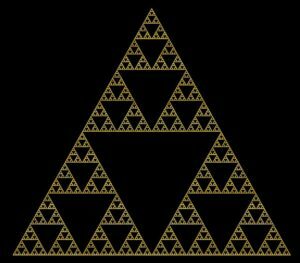 While Sierpinski and Koch used triangles to create and break down forms, as musicians, we can use 4-bar phrases and work with a surprisingly small amount of material to build larger works. 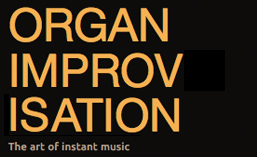 Hoping Boëllman’s “Menuet gothique” inspires you to improvise! Posted in Lesson, Newsletter. Tagged Boëllmann, form, Helge von Koch, musical structure, Newsletter, patterns, phrase, Sierpinski, Suite Gothique.